Omnia Fairfield features traditional style yet comfortable seating. 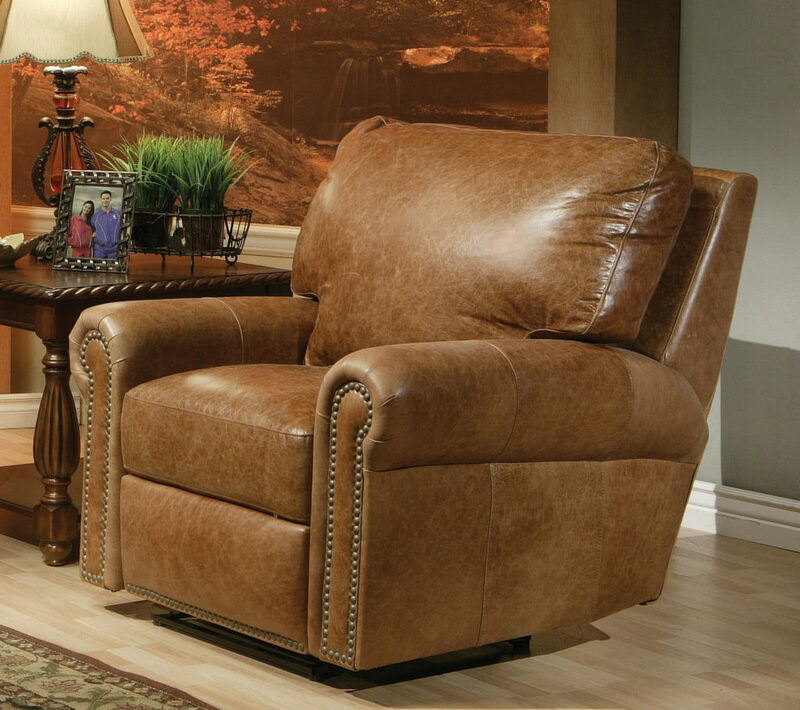 The recliner comes in an almost limitless amount of leather choices. In addition to being power reclining the chair can also be made manual. The nail heads are featured in traditional brass while they can also come in other colors. Other nail head colors can therefore make the chair contemporary. Omnia features over 200 leathers that consequently make the chair any style. The chair also has matching pieces including sectional, sofa, and more.